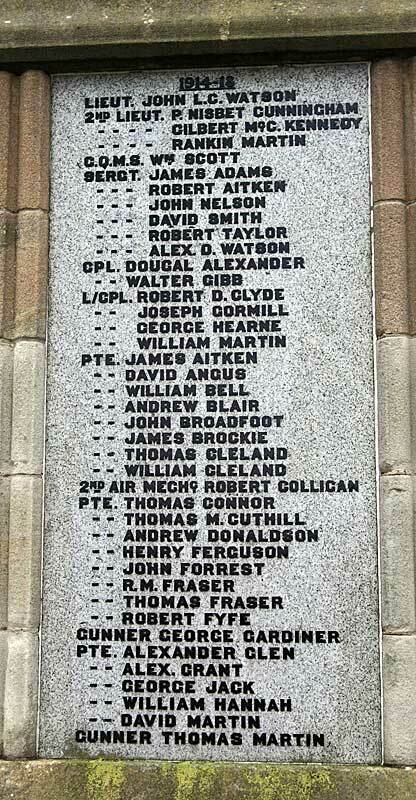 I have a large collection of War Memorial images, both in the UK and abroad and this section is due to be revamped with memorials listed in their respective regional locations etc* This page covers War Memorials in the county of Lanarkshire, The City of Glasgow, historically part of Lanarkshire, has its own section. 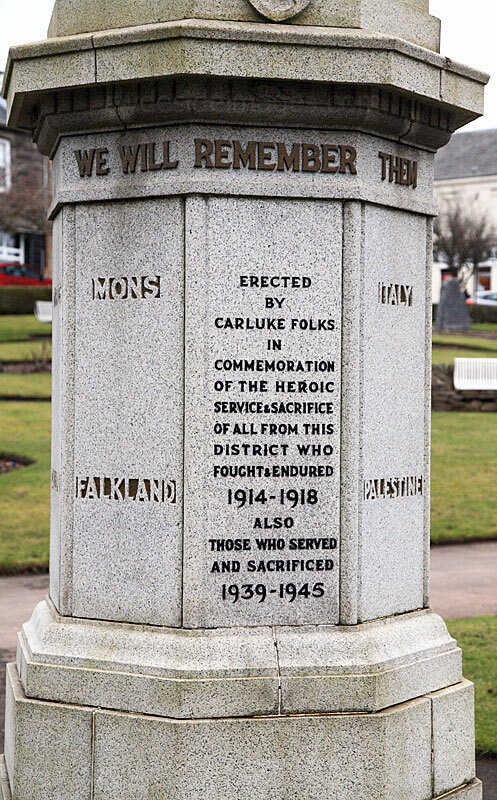 ​This is Carluke`s main war memorial, one of two civic war memorials in the town, and is located in the Market Square. 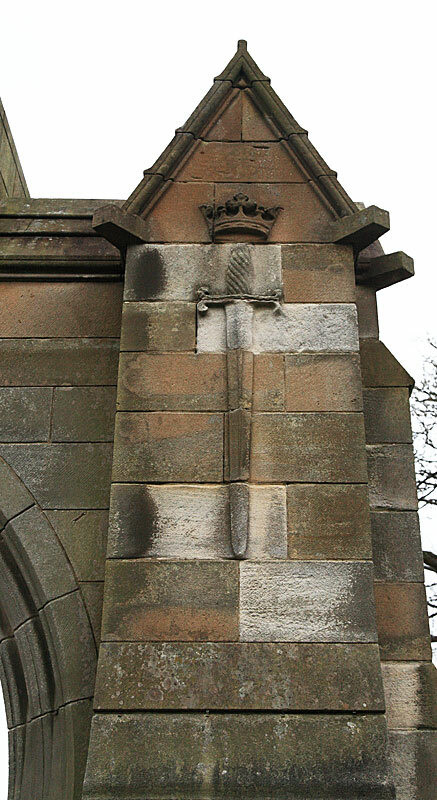 It comprises a lion holding a shield with an embossed Latin cross at the top of a pillar which is supported by an octagonal three-stepped base. 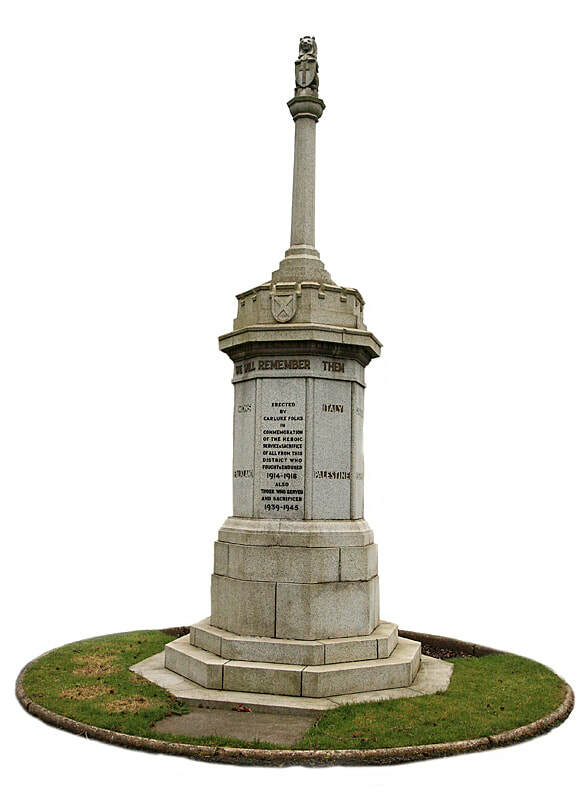 Rather than listing the names of those who died, the monument is inscribed with the names of countries, battles or campaigns in which `All from this district fought and endured 1914-1918`. 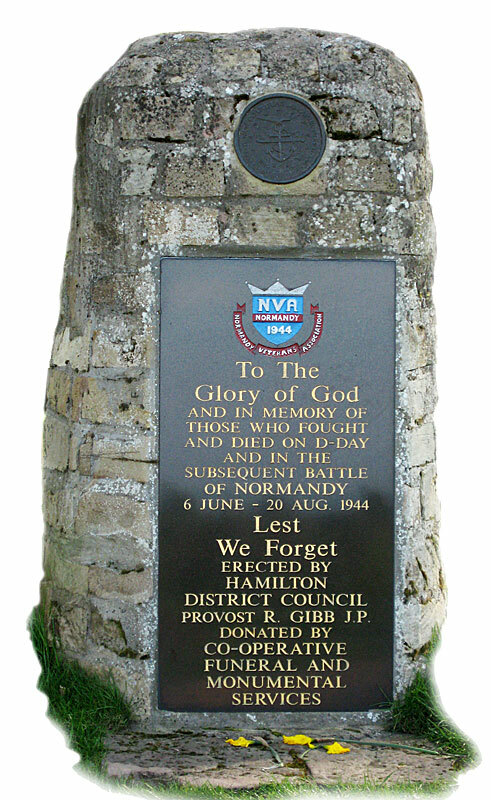 The WW2 inscription commemorates `Those who served and sacrificed 1939-1945.` The locations / battles listed, all related to the Great War, are Somme, Ypres, Italy, Cambrai, Jutland, Gallipoli, Egypt, Givenchy, Palestine, East Africa, Mesopotamia, Zeebruge, Mons and Falkland. 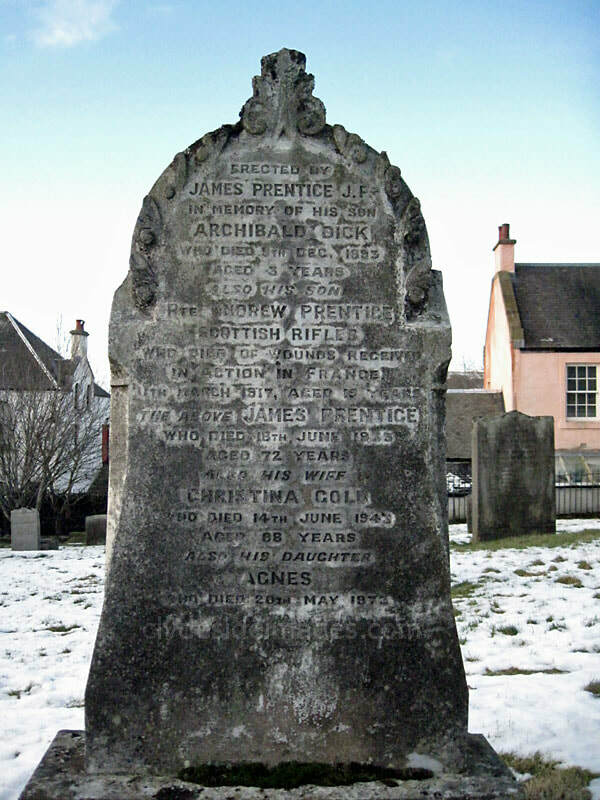 Another larger memorial (not shown) bearing names of the Fallen is located in Carluke`s Old Churchyard. 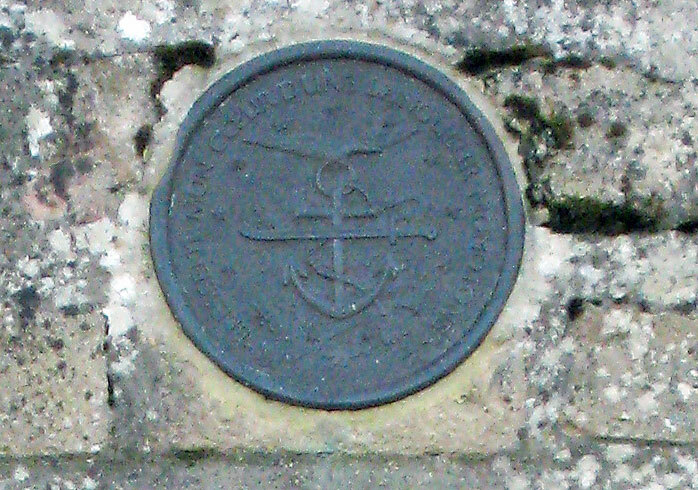 It was unveiled in June 1920 following an address given by the Rev F.M. 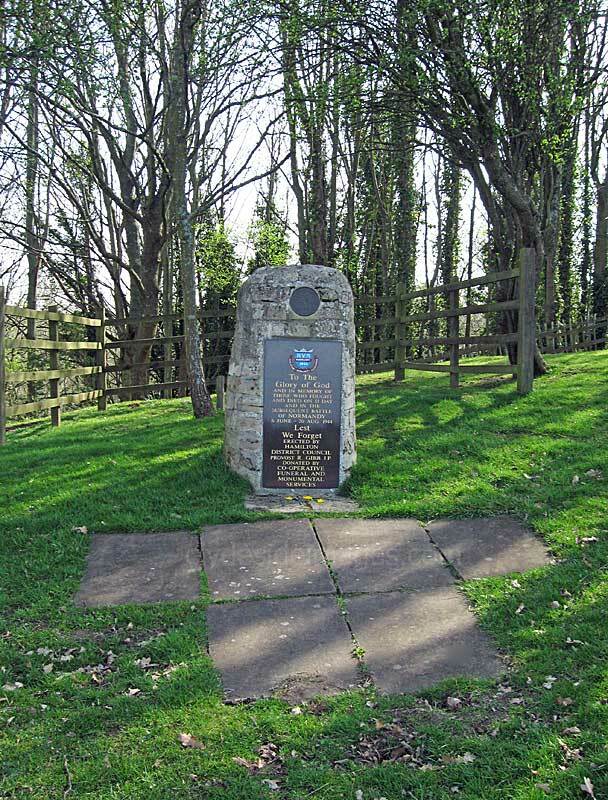 Hauxwell, Minister of the parish, who paid a tribute to the dead heroes. 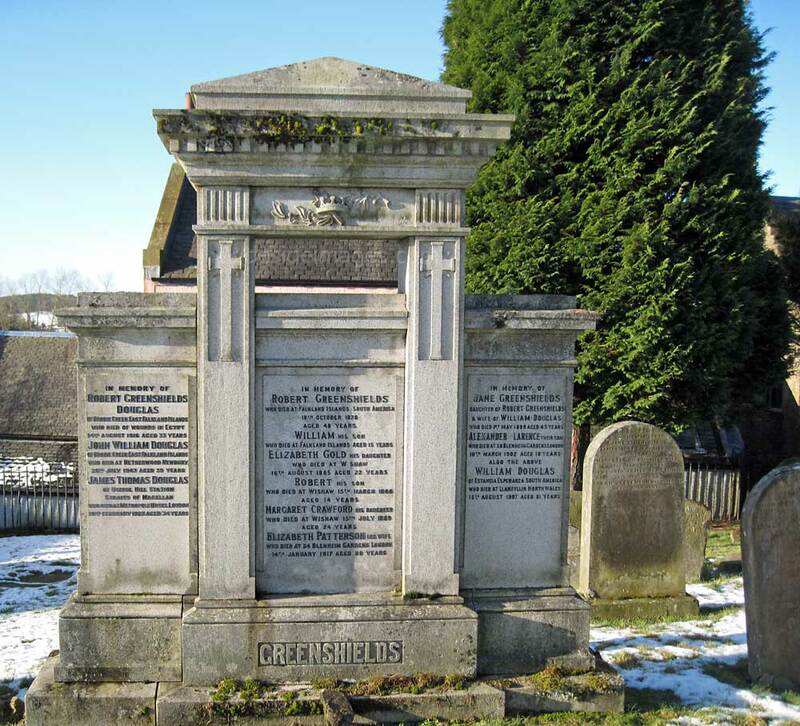 The unveiling ceremony was performed by Mrs W. Stewart and Mrs M. Murray, who both lost sons. 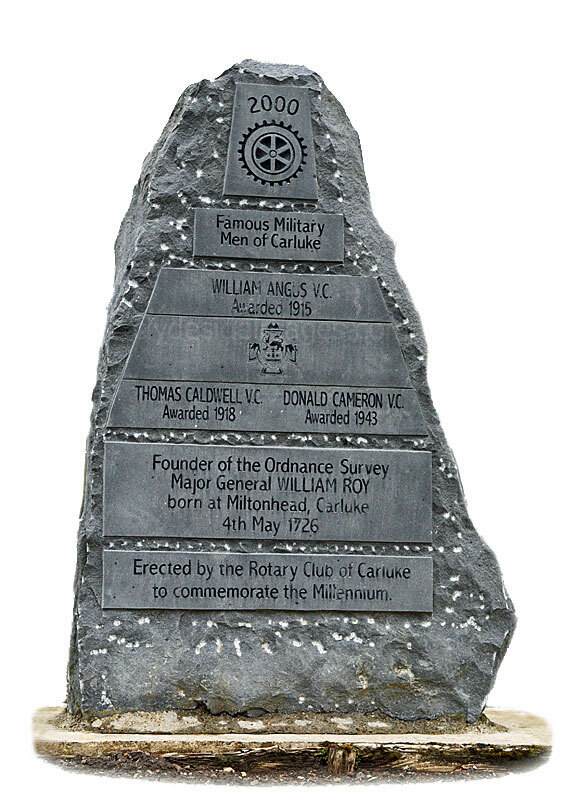 ​​The other stone in the Square bears plaques honouring famous military men of Carluke: William Angus V.C.- Awarded 1915; Thomas Caldwell V.C. - Awarded 1918; Donald Cameron V.C. 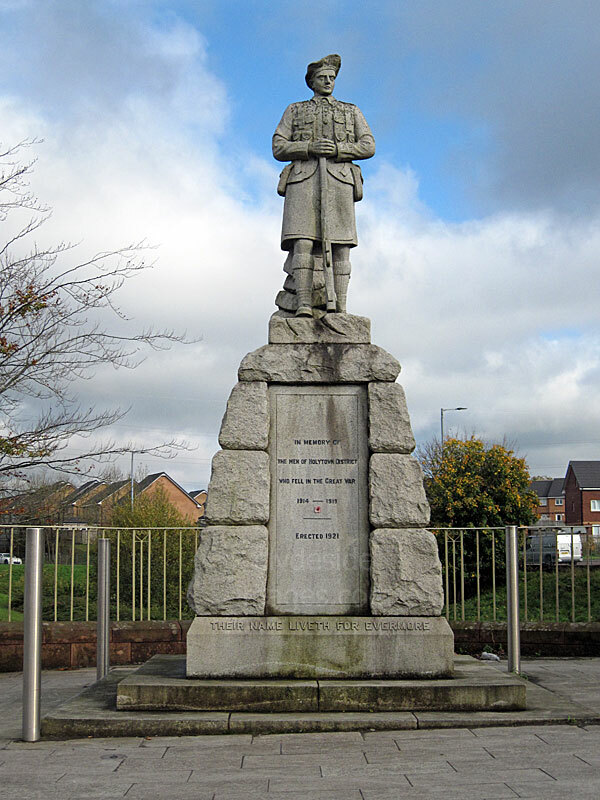 - Awarded 1943 and Major General William Roy - Founder of the Ordnance Survey. 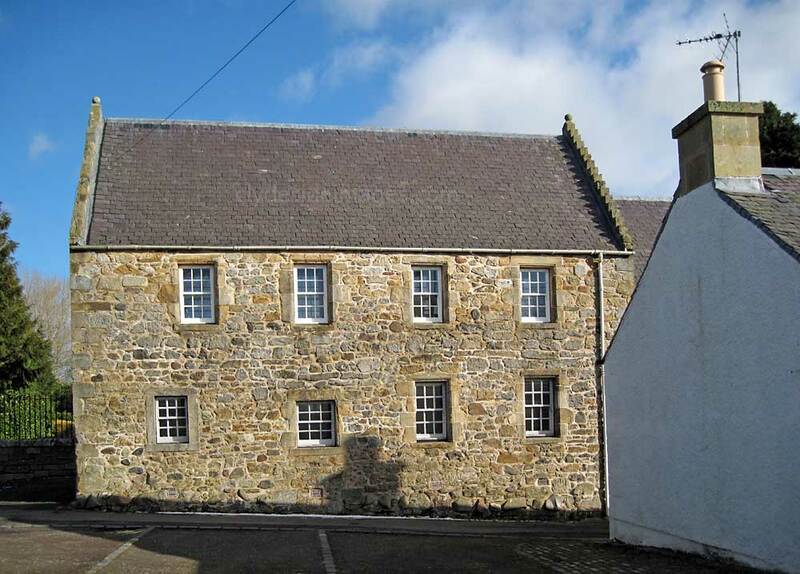 ​Douglas village, in South Lanarkshire, is steeped in history and the adjacent Douglas Estate offers a variety of fine, leisurely walks around its three small lochs and ruined castle. 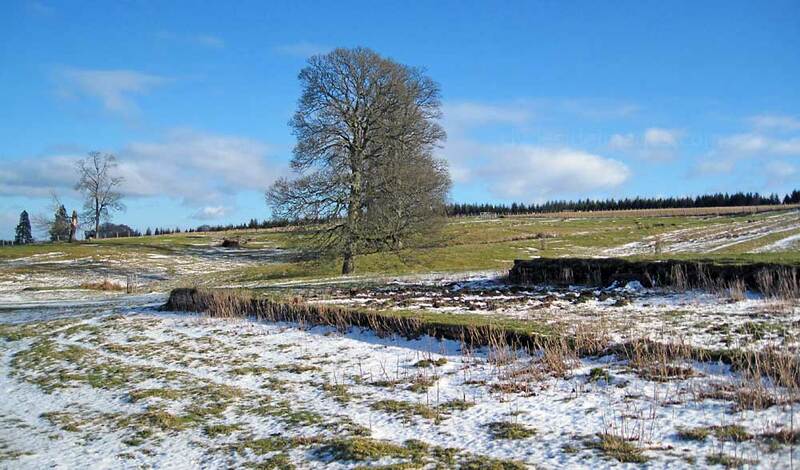 Little remains of the 13th century stronghold apart from a corner tower and vaulted cellars. 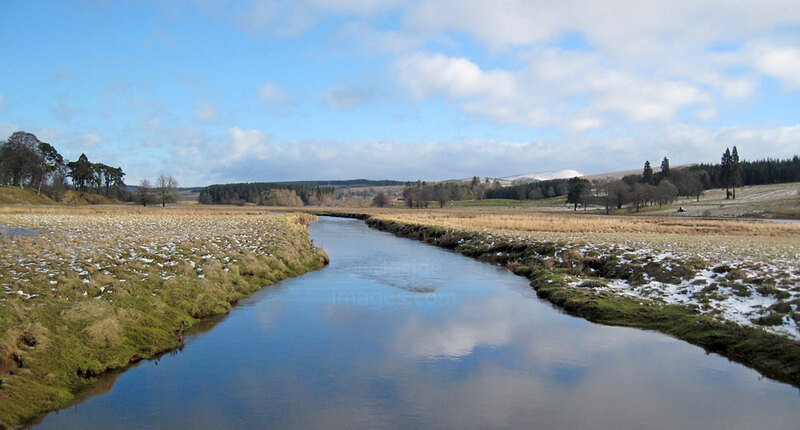 It was built by the Douglases who took their name from the Douglas Water (Black Water). 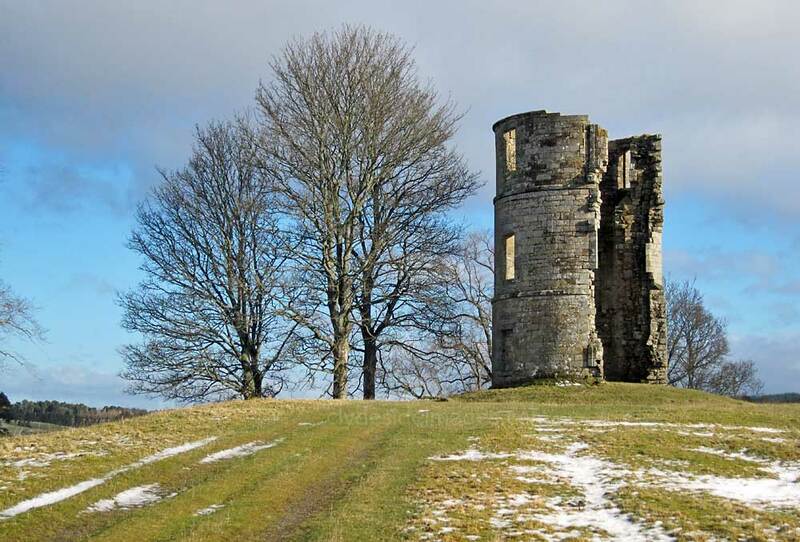 The English captured the castle during the Wars of Independence but, in 1307, Sir James Douglas successfully retook possession after trapping most of the enemy garrison while they were worshipping in the chapel. 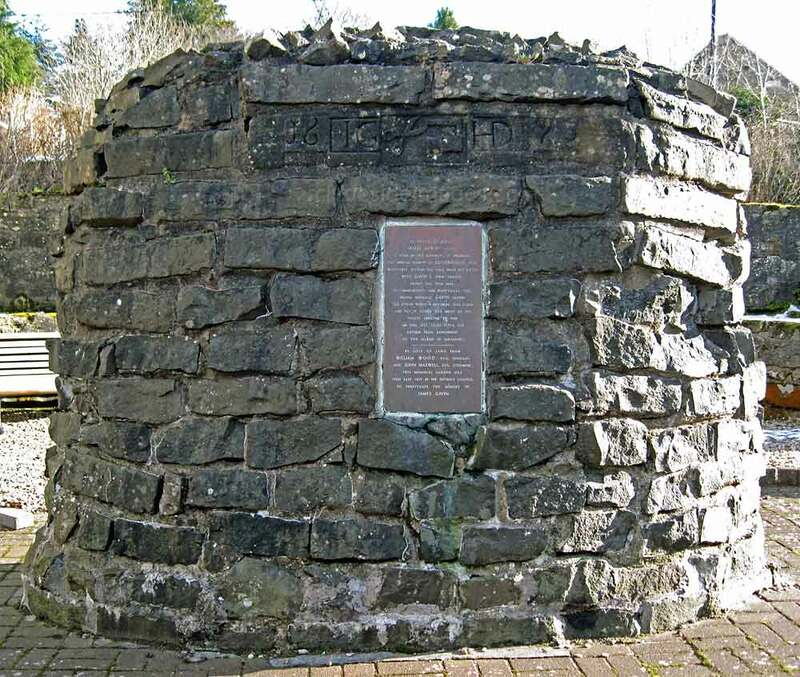 There are a number of monuments and memorials in the village itself, one of which is this large stone cairn. 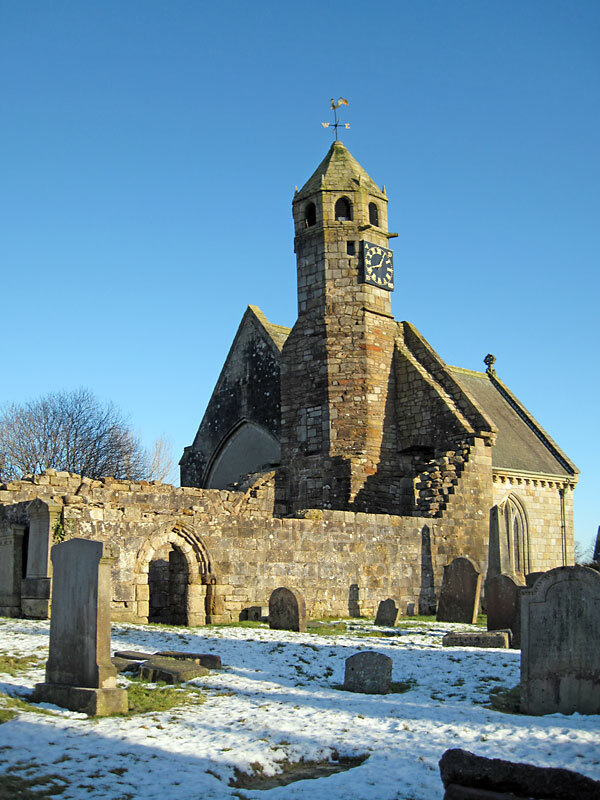 It commemorates James Gavin, a local tailor and Covenanter, who had his ears cut off by `Bloody` Claverhouse around 1684 for failing to relinquish his faith. 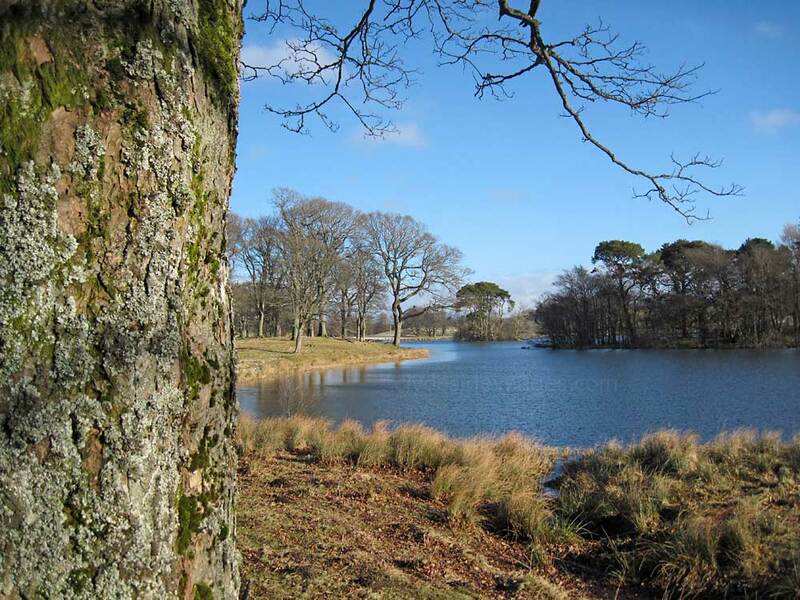 Gavin was then transported to Barbados in the West Indies, however, he returned to Scotland four years later and re-built his house near this spot. The stone tablet in the centre of the cairn was originally fixed above the door of his dwelling to record the dastardly deed. 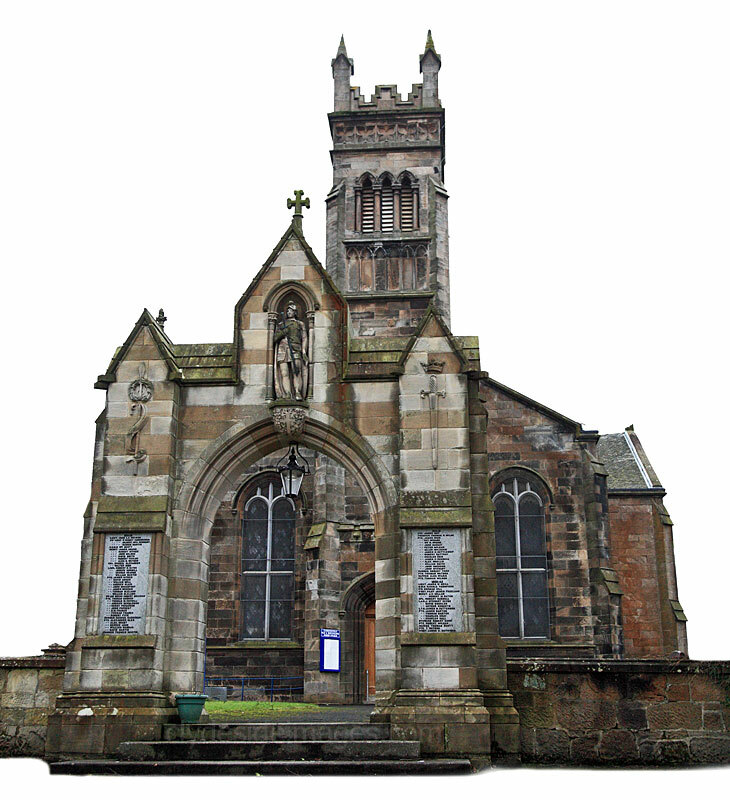 Douglas, however, is best known for historic St Bride`s Church which contains a remarkable collection of stone effigies of the Douglas family. 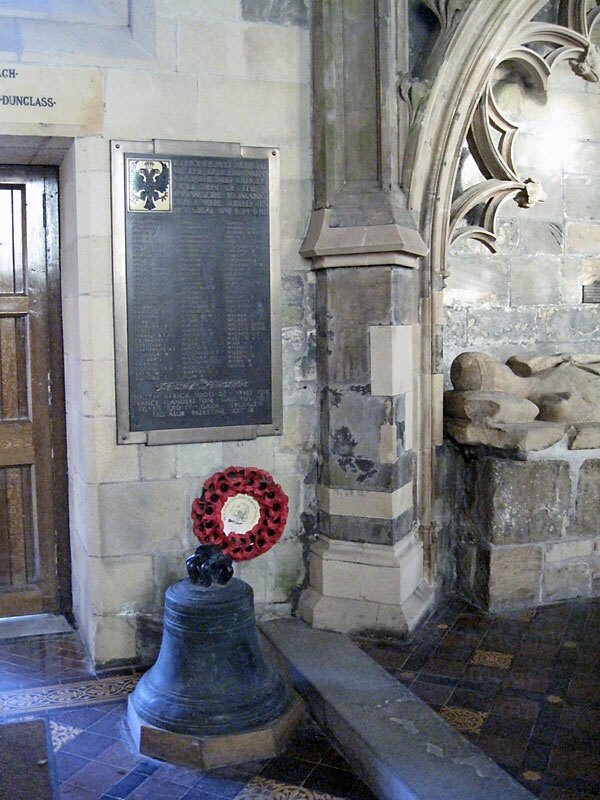 The kirk also contains a couple of war memorials. 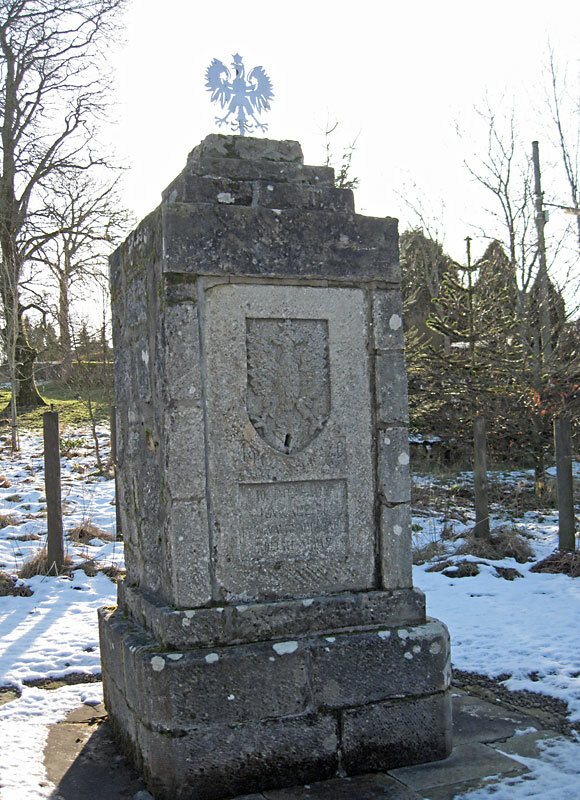 The area`s main War Memorial (not illustrated) is situated in the cemetery to the east of the village. 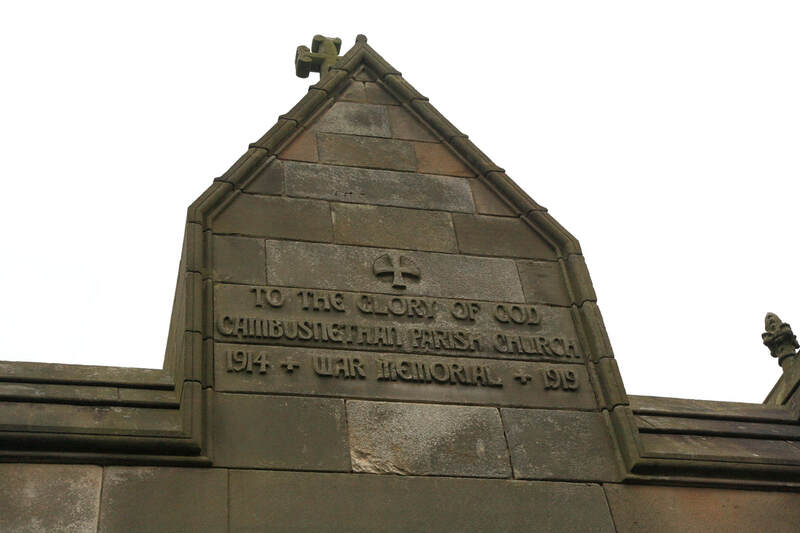 The colours fixed to the church wall are those of the 2nd Royal Lanarkshire Regiment, latterly known as the 3rd and 4th Battalion of the Cameronians (Scottish Rifles). 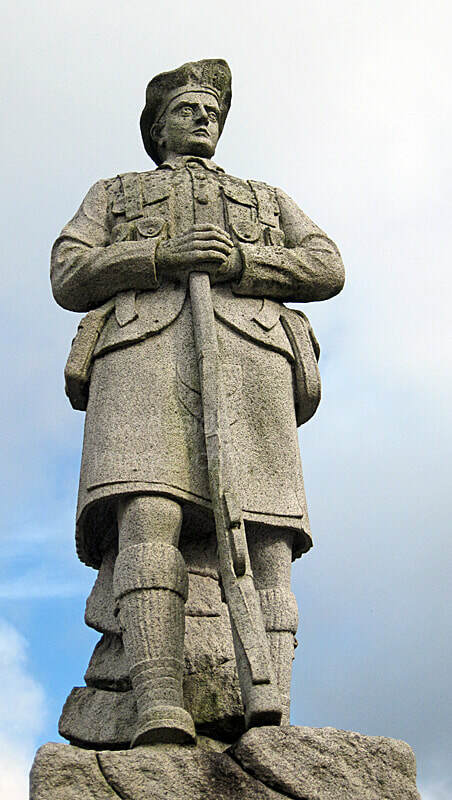 A striking bronze memorial to the regiment by London-born sculptor Lindsey Clark (1889-1977) stands in Glasgow`s Kelvingrove Park. Click here (LINK)* to view. 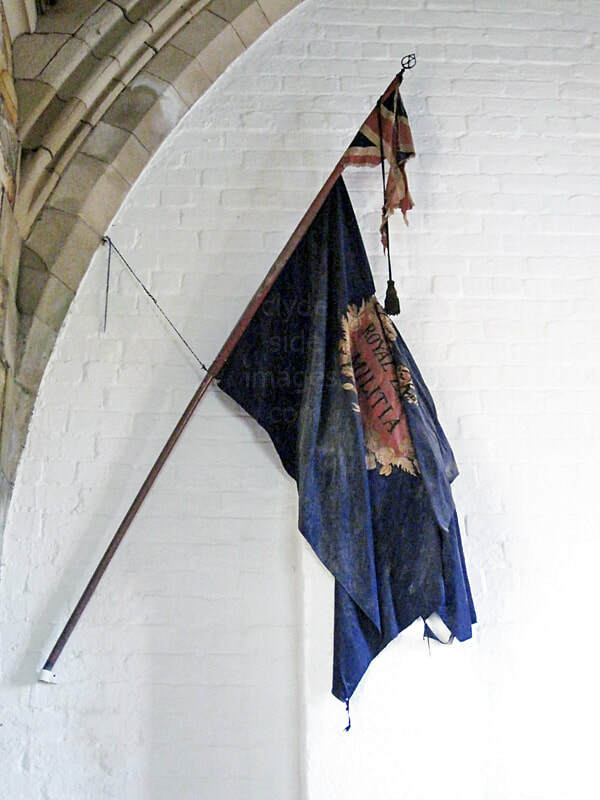 ​The colours were presented by Her Majesty Queen Victoria`s Government in 1855, following the regiment`s sterling service in Russia, India and China. 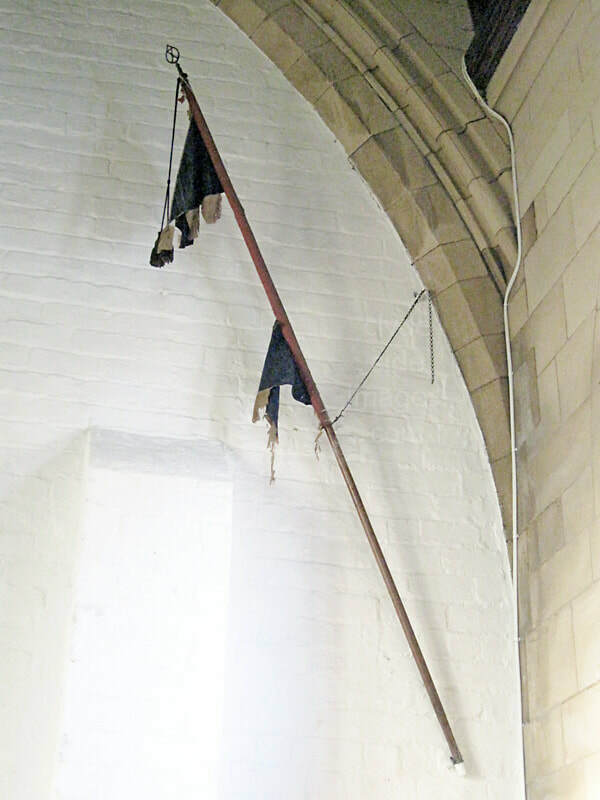 The colours were deposited in the church in 1908 for safekeeping. 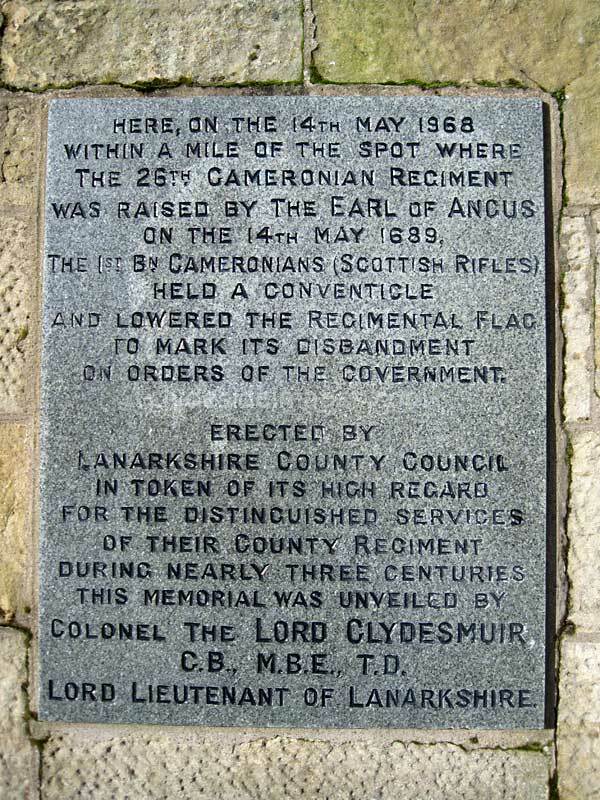 This memorial commemorates the raising on 14 May 1689 of the Cameronian Regiment (26th Foot) as part of the British Army. 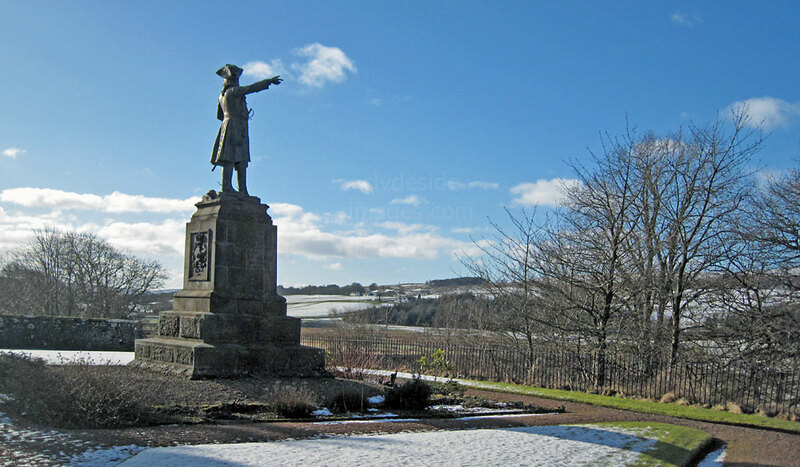 Although the Cameronians had existed prior to this date they were a band of Covenanters who rebelled against the king for their right to follow their faith and resembled a Presbyterian congregation rather than a fully equipped military unit. 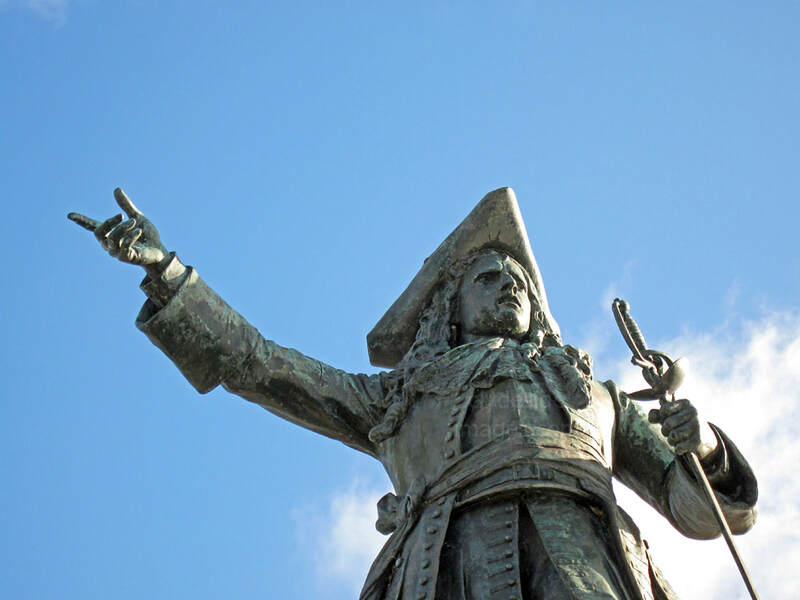 They took their name from their leader Richard Cameron, `The Lion of the Covenant`. 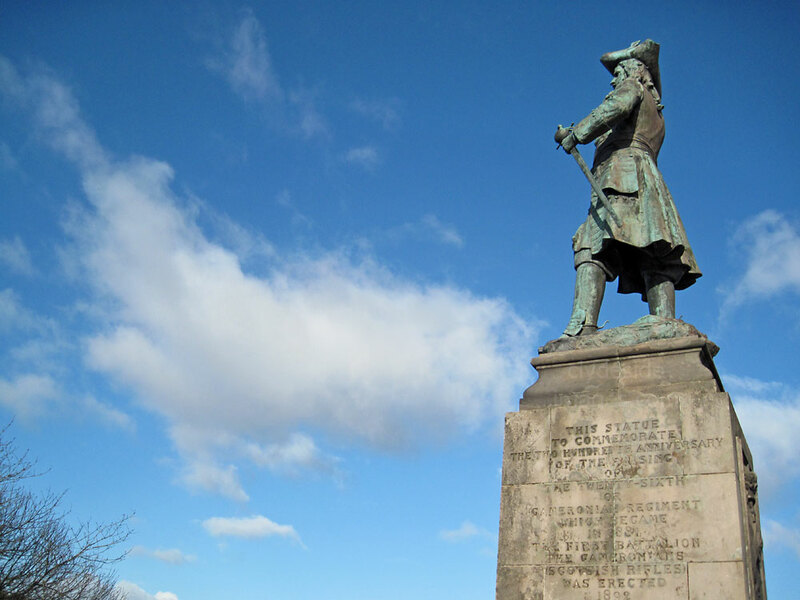 ​For 279 years thereafter the Cameronians went on to distinguish themselves in every major campaign in which the British Army fought. 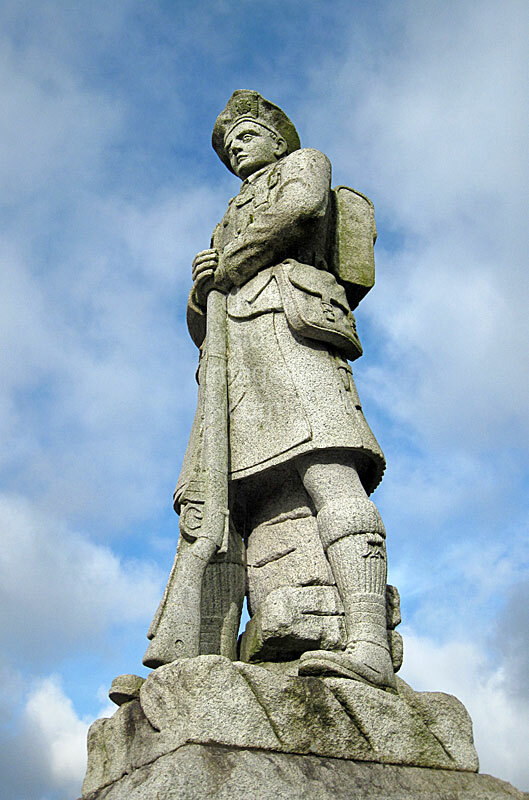 Over 7,100 men from the regiment were lost in the Great War alone. 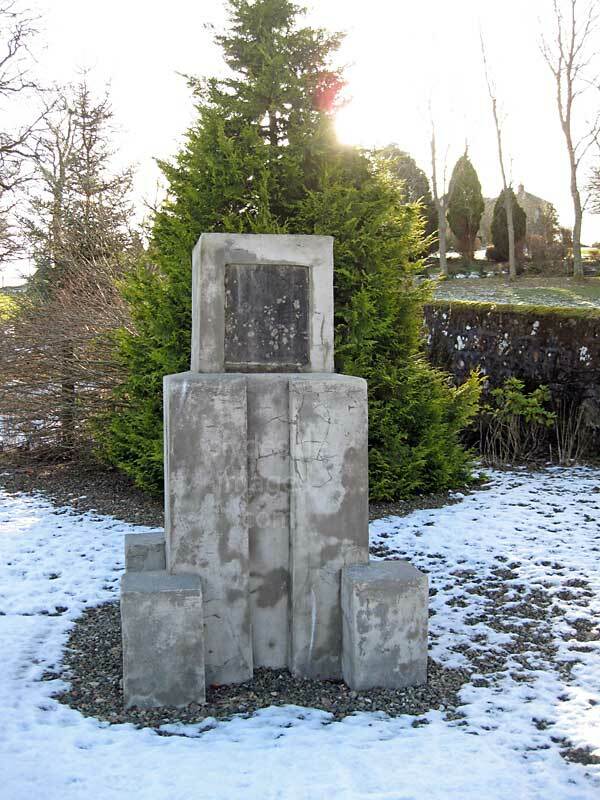 This separate memorial stands in the Douglas Estate to mark the spot where the 1st Battalion Cameronians (Scottish Rifles) was disbanded on 14 May 1968. 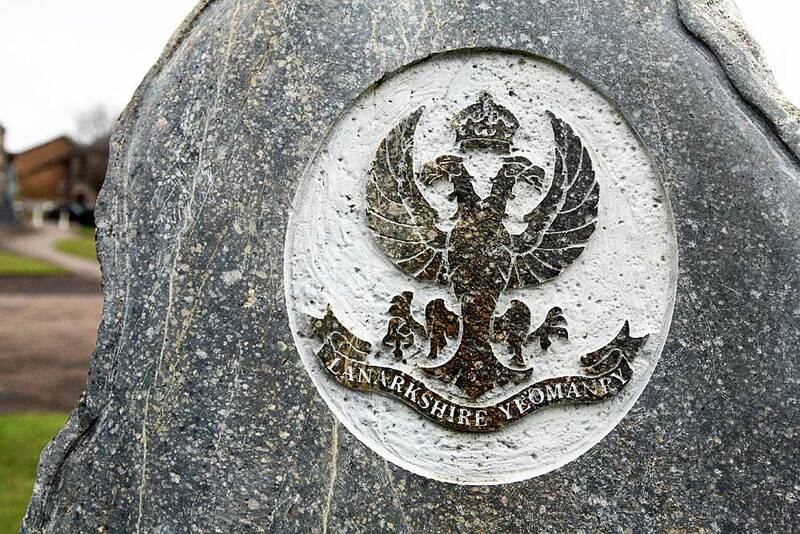 ​The 2nd Royal Lanarkshire Militia is part of the oldest military force in Scotland, a body which existed some six centuries before the introduction of a standing army. 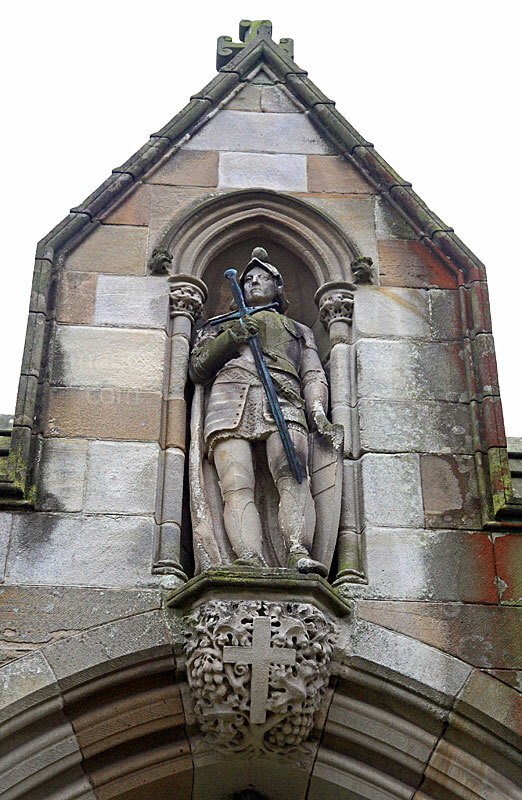 Its predecessors were among the most constant and faithful followers of William Wallace and King Robert the Bruce during the Wars of Independence. 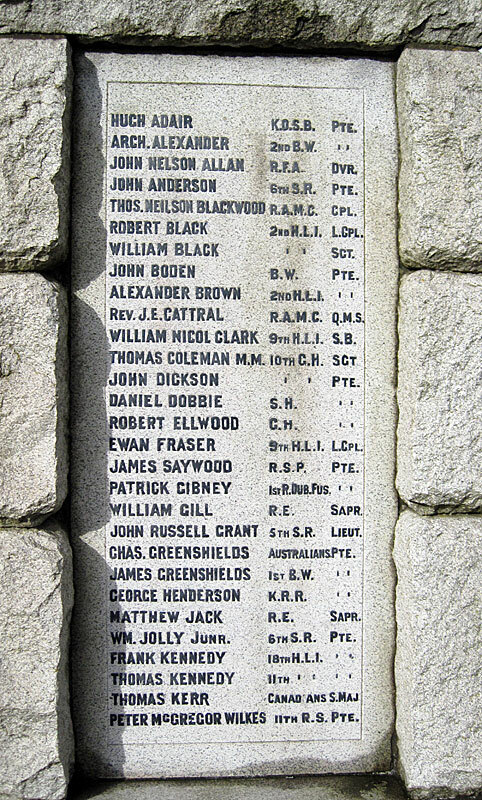 Just inside the church door is a memorial plaque to the Officers, Non-Commissioned Officers and Men of The Lanarkshire Yeomanry who were killed during the South African (Boer) War and the Great War. 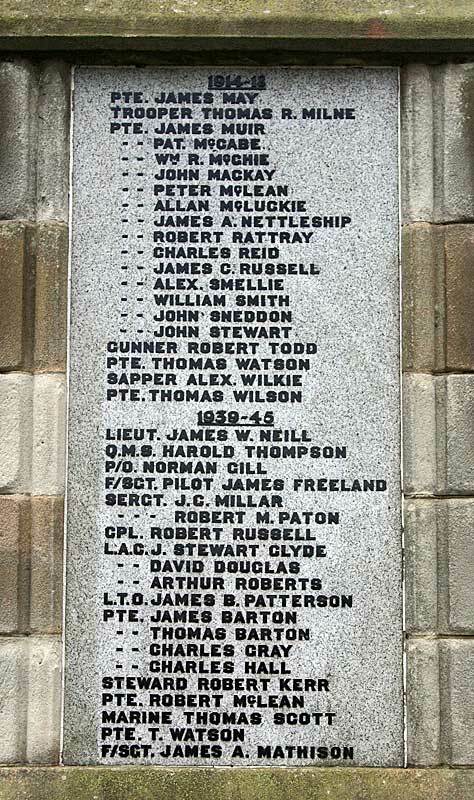 Another plaque honours the Officers, Non-Commissioned Officers and Men of The Lanarkshire Yeomanry (155 and 156 Field Regiment R.A.) who gave their lives in the Second World War. 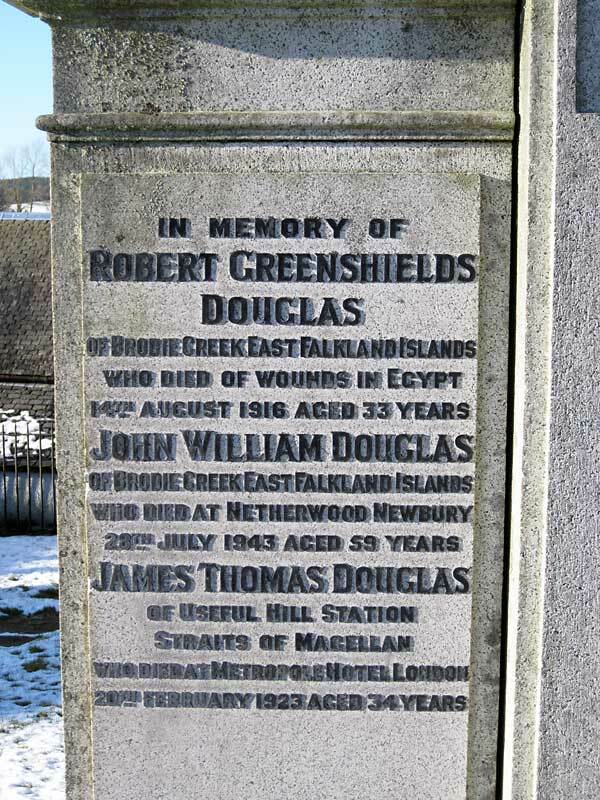 This large stone in the kirkyard marks the last resting place of members of the Greenshields family including Robert Greenshields Douglas of Brodie Creek, East Falklands, who died in the Great War as a result of wounds sustained in Egypt in 1916. He was 33 years old. 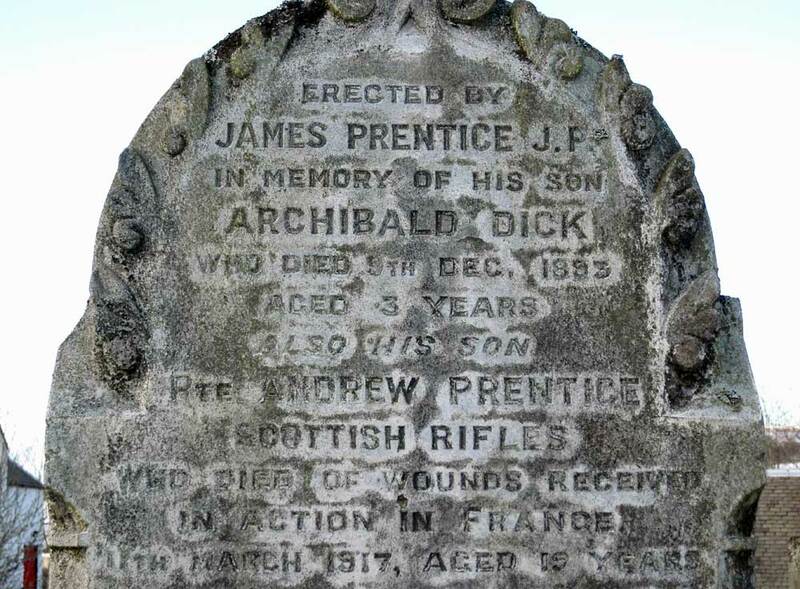 Another headstone (below) commemorates Private Andrew Prentice of the Scottish Rifles who died of wounds in France on 11 March 1917, aged 19 years. 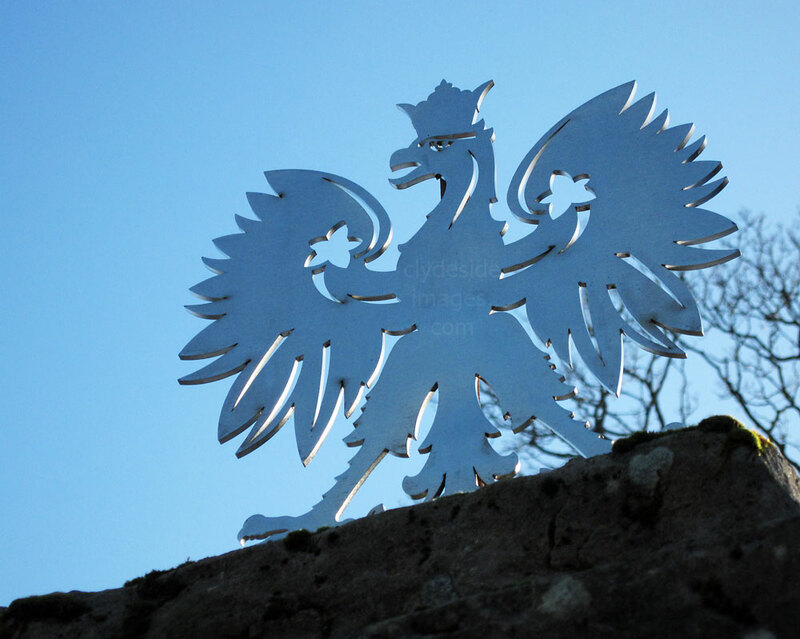 During the Second World War, thousands of Polish troops were stationed in the area, mainly those of the 10th Cavalry Brigade, 10th Mounted Rifles and 24th Lancers. 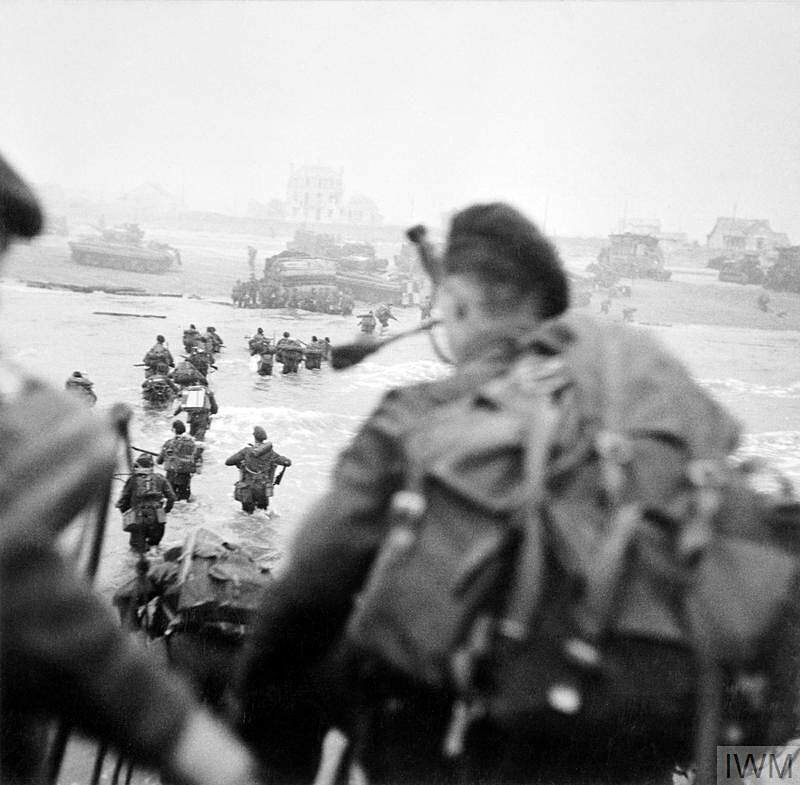 ​By late 1940, most had relocated to the north-east coast of Scotland to guard against a possible German invasion. In recognition of the warm welcome they received from the villagers here, the Poles erected three memorials as a sign of their gratitude. They stand in a small garden at the entrance to the Douglas Estate. 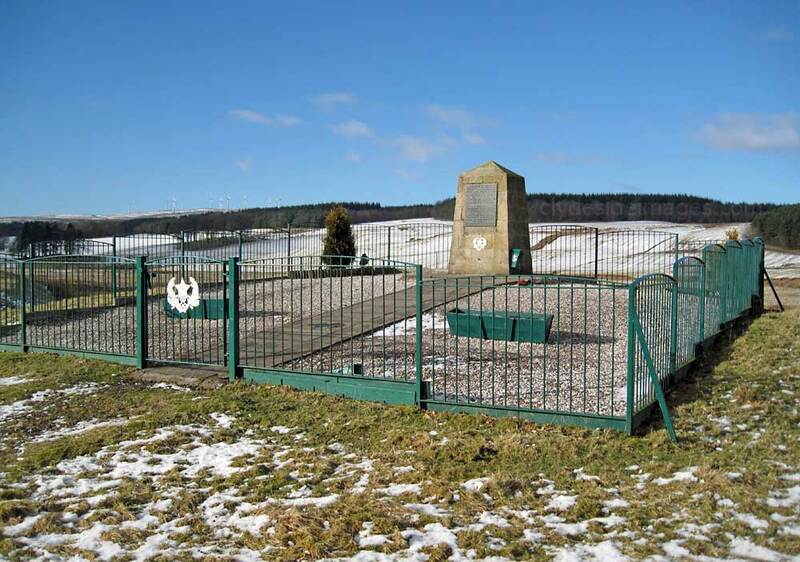 When I visited, however, the third memorial was snow-covered and totally hidden from view. Foundations of the WW2 Polish camp can still be seen nearby. 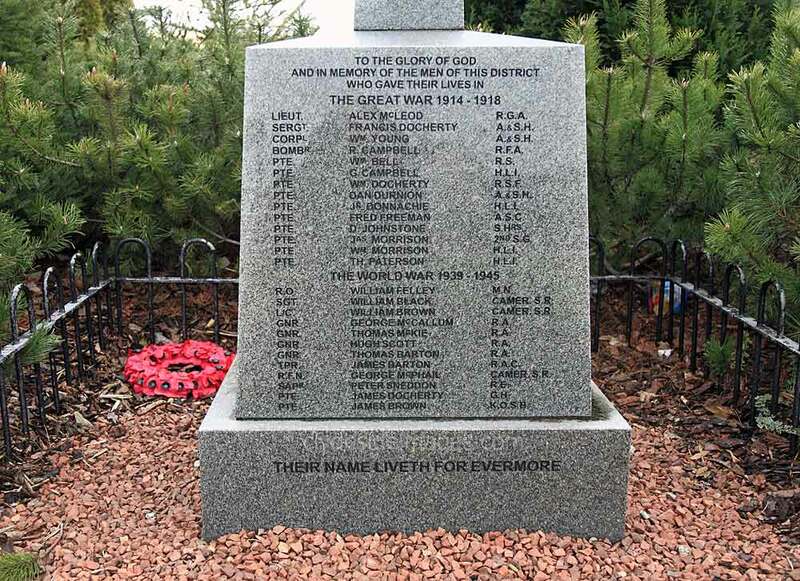 This Normandy Veterans Association memorial stands within the grounds of Chatelherault Country Park, near Hamilton. 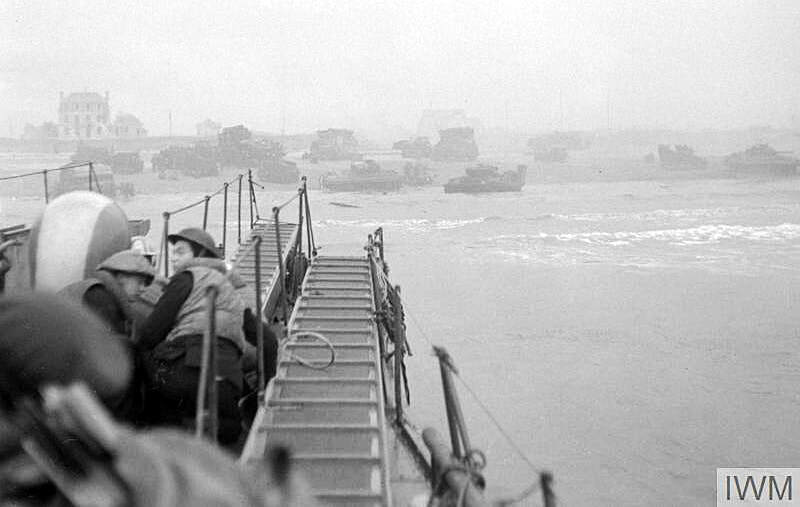 It commemorates not only the men who fell on D-Day itself but also those who were lost in the subsequent Battle for Normandy. 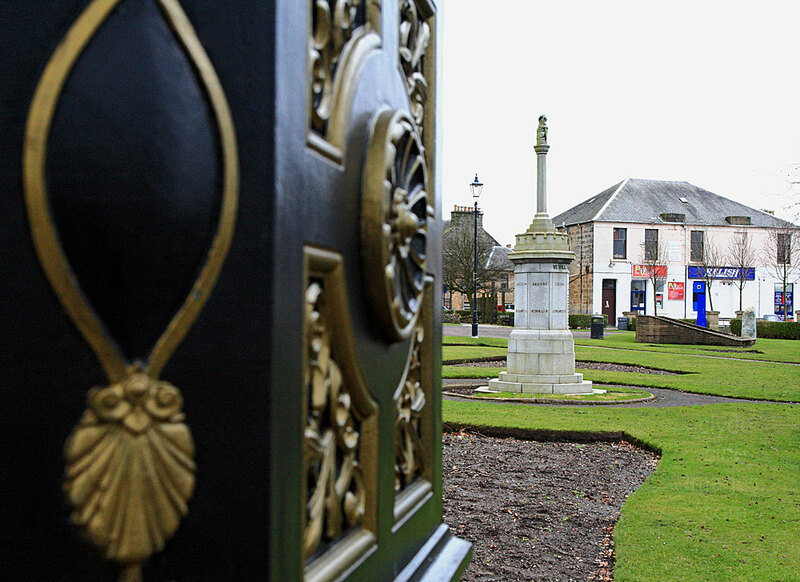 ​Holytown is a small village outside Motherwell in North Lanarkshire. Like many industrial communities in the late 19th and 20th centuries, football was a major recreational event, not only for the players but with and local supporters. Nowadays, Holytown Colts are the only team and play at Amateur level. One talented footballer from Holytown was Harry McShane who won the First Division in England with Manchester United in 1951-52 and then played for various clubs in and around the north-west of England. He was the father of the British TV actor Ian McShane, best known for the title role in Lovejoy and playing saloon owner Al Swearengen in the US TV series Deadwood. 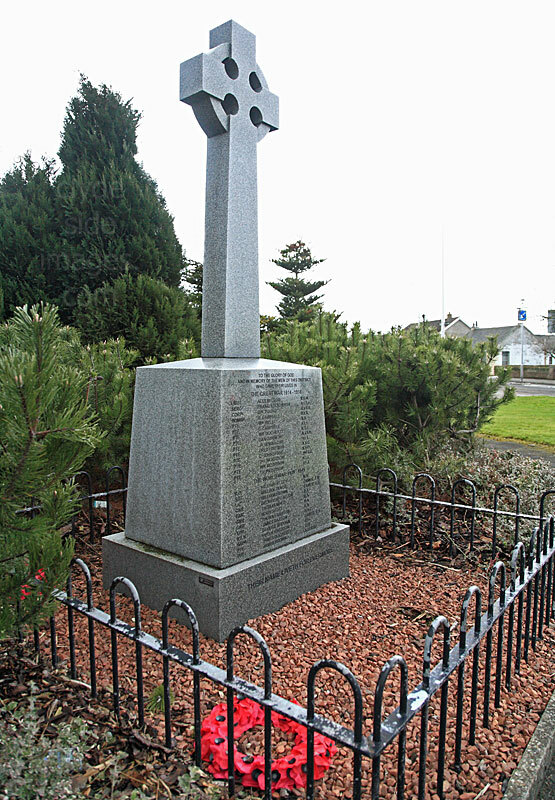 The village War Memorial stands at east end of Holytown Main Street beside a large roundabout where the A775, B799 and A723 meet. 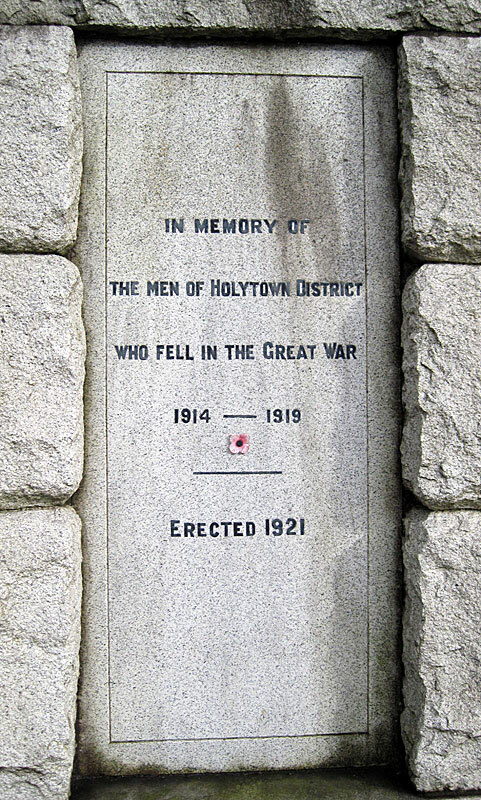 The inscription on the memorial`s granite base is inscribed `In Memory of the Men of Holytown District who fell in the Great War 1914 - 1919.`with `Their Name Liveth For Evermore.`on the lower block. 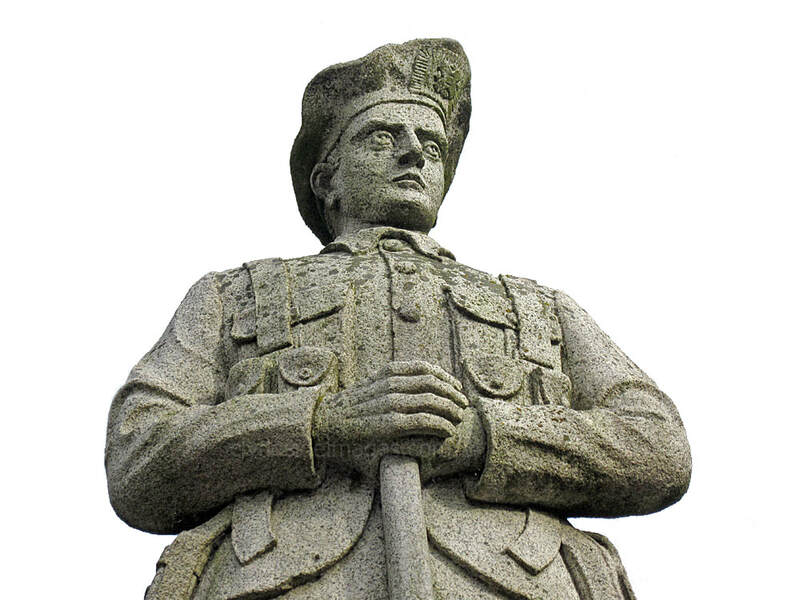 The figure of a life-sized kilted soldier was a creation of Scott & Rae (Sculptors) with the memorial assembled by James Paterson (Builder) at a cost of £1,160 which was funded by public, private and corporate donations. 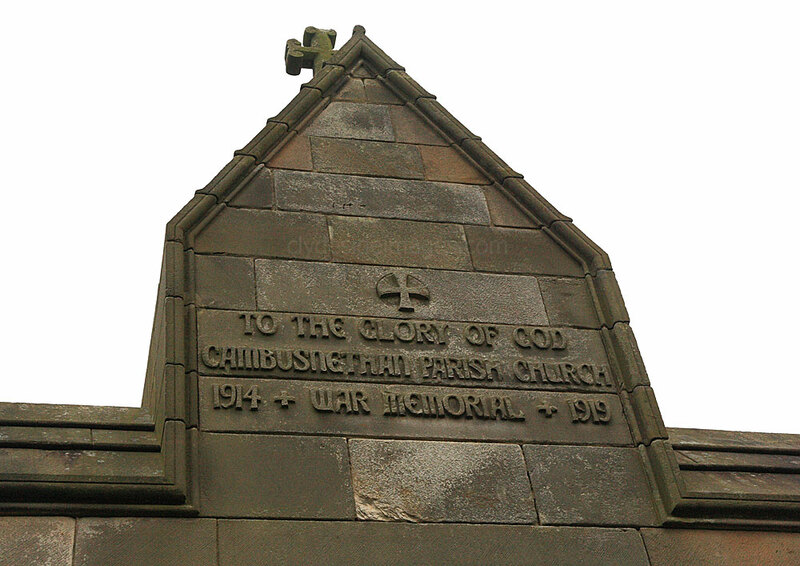 The memorial was unveiled by Alexander Whitelaw on 9 October 1921 with a dedication by Rev J.D. Dykes. 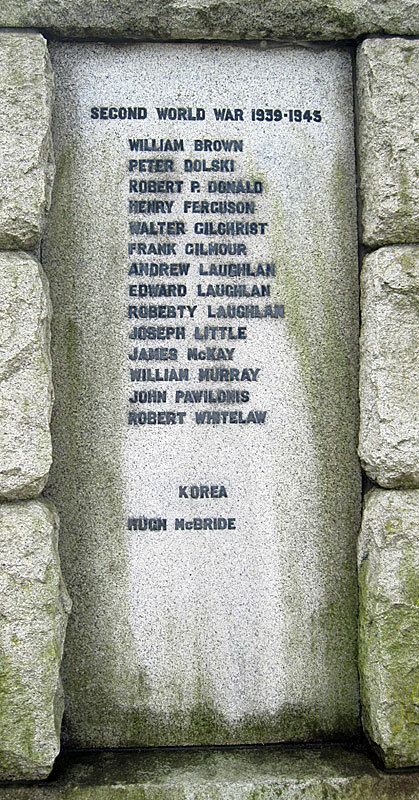 Two panels bear the names of the Fallen from the First World War with another listing fourteen names from the Second World War and one from Korea. 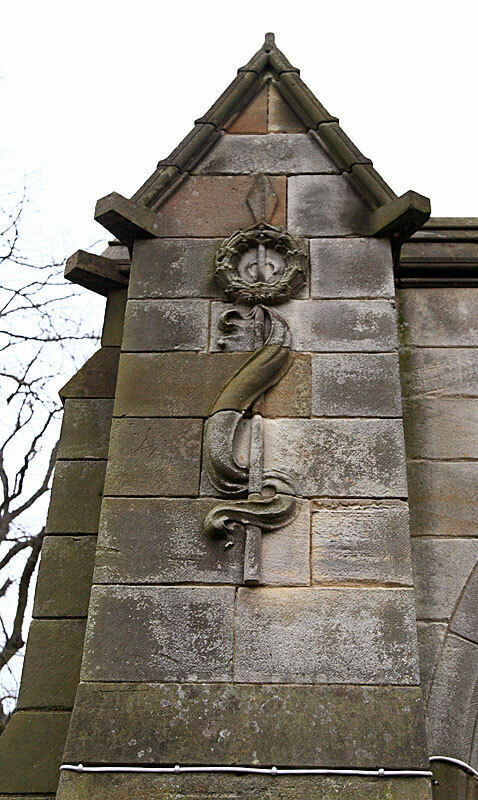 ​This memorial gateway is located within Cambusnethan Old and Morningside Parish Church. Cambusnethan is a large suburb on the eastern edge of Wishaw, North Lanarkshire. 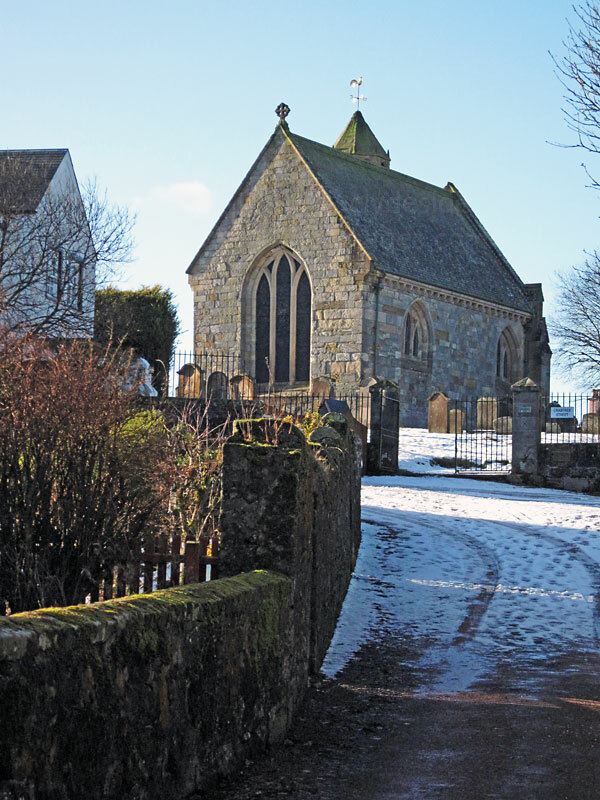 This parish church, designed by Thomas Burns, dates from 1839 and replaced the now roofless and ruinous 18th century church on the opposite side of the road which was in a dilapidated and dangerous condition by 1837. ​This panel on one of the pillars supporting the archway bears the following inscription: `In memory of all parishioners who fighting nobly, nobly fell. 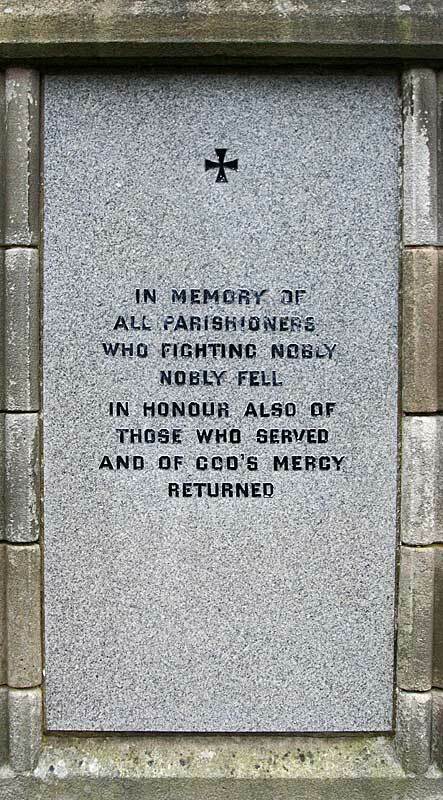 In honour also of those who served and of God`s mercy returned`. 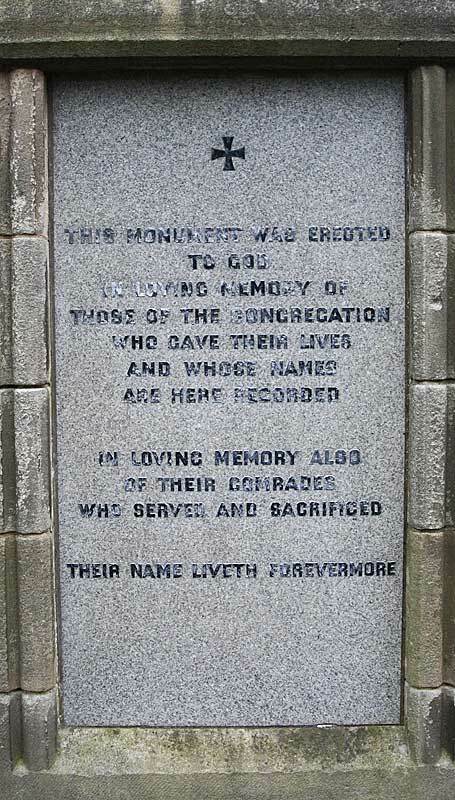 ​Another panel reads `This monument was erected to God in loving memory of those of the congregation who gave their lives and whose names are here recorded. 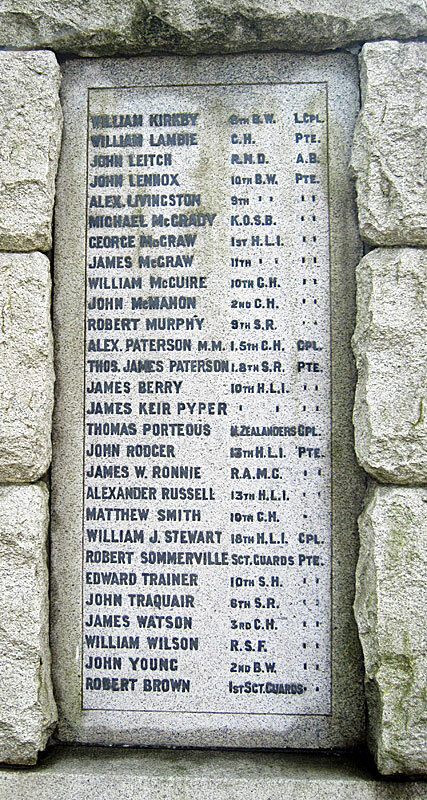 In loving memory also of their comrades who served and sacrificed. 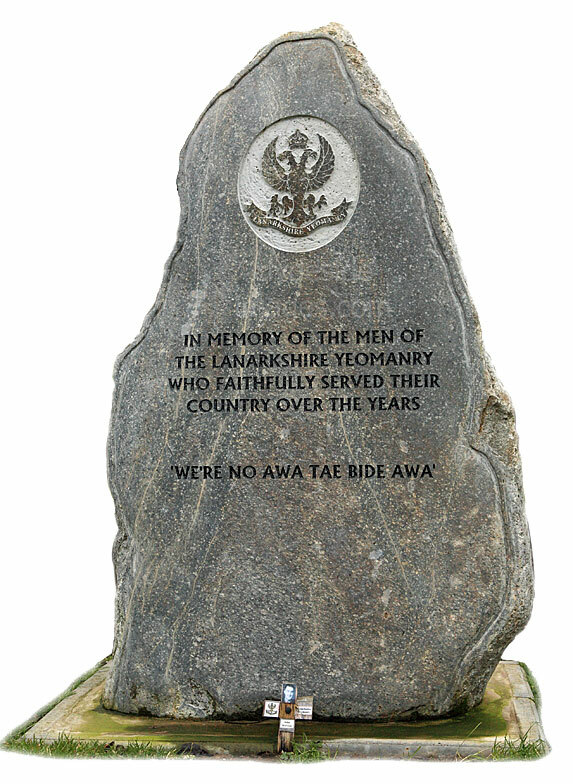 Their name liveth forevermore`. 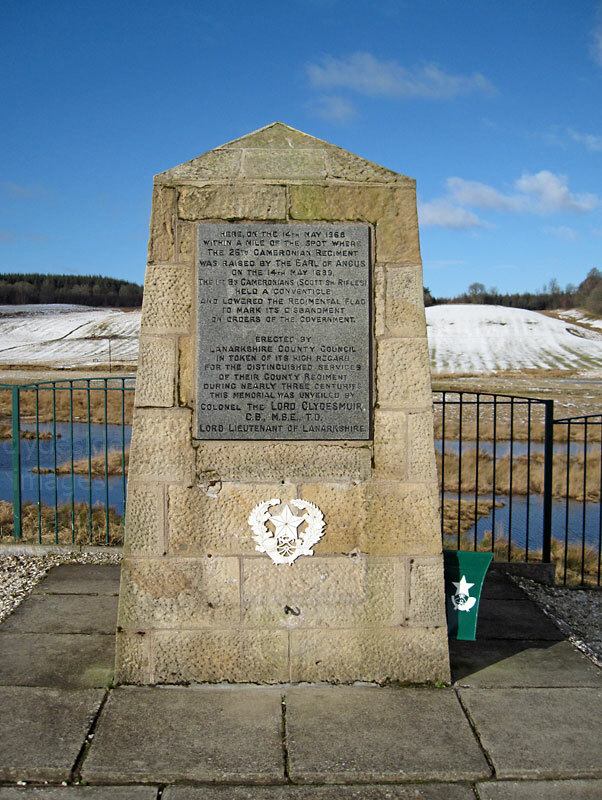 ​This roadside cross in the village of Waterloo just outside Wishaw, was erected in 2006 and commemorates the men of the district who died during both World Wars. 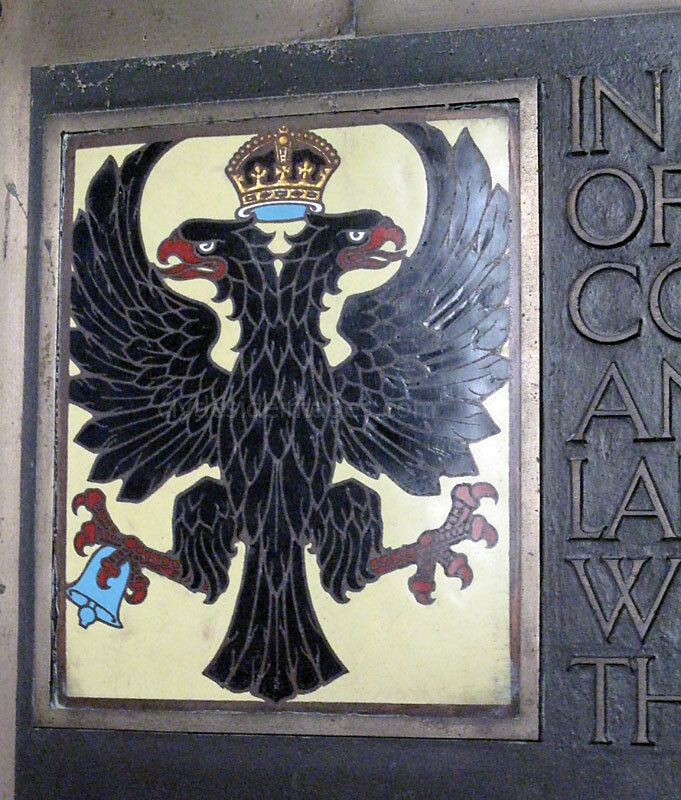 This supplements two plaques in the village`s Memorial Hall which also honours those service personnel who died during the First and Second World War. The local community decided that a more prominent external memorial would be more appropriate and would create a focal point on Remembrance Day.